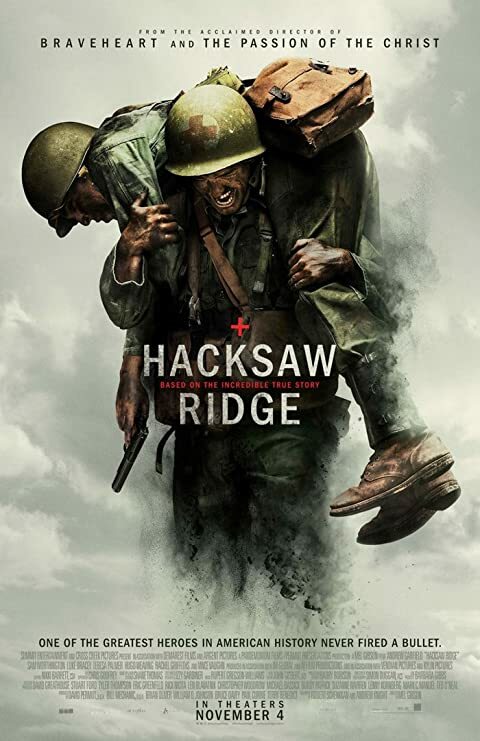 Story line: Hacksaw Ridge (2016): The true story of Desmond T. Doss, the conscientious objector who, at the Battle of Okinawa, won the Medal of Honor for his incredible bravery and regard for his fellow soldiers. We see his upbringing and how this shaped his views, especially his religious view and anti-killing stance. We see Doss’s trials and tribulations after enlisting in the US Army and trying to become a medic. Finally, we see the hell on Earth that was Hacksaw Ridge.